From the internationally bestselling, Pulitzer Prize--winning author, a superbly crafted new work of fiction: eight stories that take us from Cambridge and Seattle to India and Thailand. In the stunning title story, Ruma, a young mother in a new city, is visited by her father, who carefully tends the earth of her garden, where he and his grandson form a special bond. But he's harboring a secret from his daughter, a love affair he's keeping all to himself. In "A Choice of Accommodations," a husband's attempt to turn an old friend's wedding into a romantic getaway weekend with his wife takes a dark, revealing turn as the party lasts deep into the night. In "Only Goodness," a sister eager to give her younger brother the perfect childhood she never had is overwhelmed by guilt, anguish, and anger when his alcoholism threatens her family. And in "Hema and Kaushik," a trio of linked stories-a luminous, intensely compelling elegy of life, death, love, and fate-we follow the lives of a girl and boy who, one winter, share a house in Massachusetts. They travel from innocence to experience on separate, sometimes painful paths, until destiny brings them together again years later in Rome. 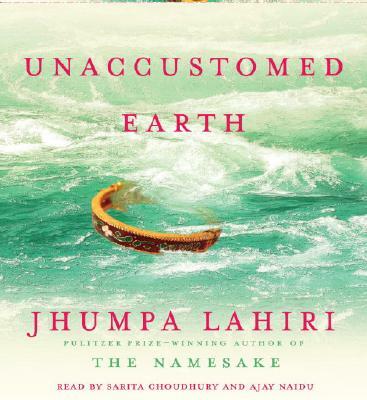 Jhumpa Lahiri is the recipient of a Guggenheim Fellowship. Her debut collection of stories, "Interpreter of Maladies, " was awarded the Pulitzer Prize, the PEN/Hemingway Award, and "The New Yorker" Debut of the Year. Her novel "The Namesake" was a "New York Times" Notable Book, a "Los Angeles Times" Book Prize finalist, and was selected as one of the best books of the year by many publications. She lives in Brooklyn, New York.